Delicate Pearl and silver friendship bracelet in pink, white or peacock freshwater pearls. 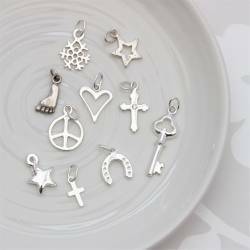 Add a silver letter or charm to celebrate a Christening, special birthday present or wish good luck. 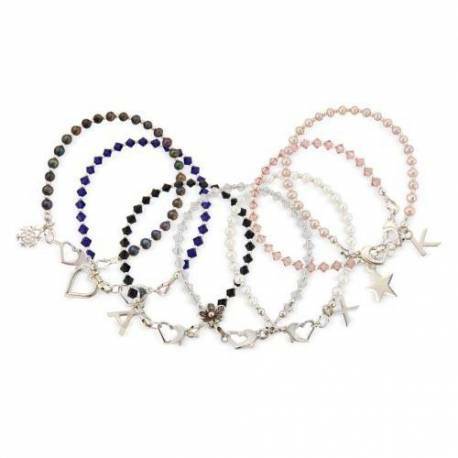 This friendship bracelet is made with 4mm freshwater pearls in pink, white or peacock and 2mm Sterling silver beads. It is finished with a Sterling silver heart-shaped trigger clasp. You can also add a 5cm sterling silver extension chain if you are not sure of the exact length. 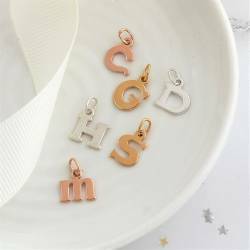 If you would like to include a letter charm on your bracelet or any of the other sterling silver charms, they can be found under the matching accessories tab below or in the charms section, just order them at the same time as you order your bracelet. The charm or charms will be included near the clasp. If you order more than one charm they will be put on the same side of the clasp but with a sterling silver bead separating them. 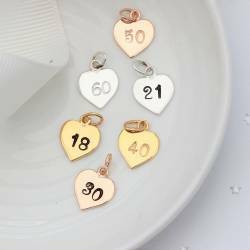 There are charms for good luck, congratulations, love, new baby, Christmas as well as a Baptism or Christening and alphabet letters. Your bracelet will be beautifully gift wrapped in a matt black box, tied with ivory satin ribbon and a gift card enclosed. This standard service is completely free of charge. Sterling silver with freshwater pearls. Size of pearl friendship bracelet approx 19cm or 21cm. The pearls are approx 4mm.